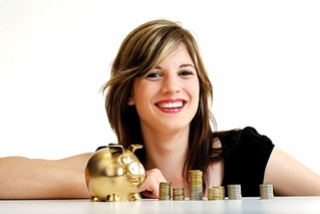 After the economic crisis, everyone has understood the fact that savings is important. 1. Save your money using the option of auto-pilot: There are a large number of people who have inadequate or no savings. The best way to start savings is to get into the habit of paying yourself first. The best option to do this is to have money directly deposited from your paycheck to a savings account. Savings on autopilot is a great way to reinforce the habit of savings when you know that you may incur unplanned expenses. 2. Track your expenses: People hardly track their expenses against a monthly budget. Unless you track your expenses, you won't be able to get rid of your unnecessary spending. Tracking your expenses will help you know where you can cut back on your spending. You can track your spending for a period of 2 months and then try to formulate a realistic monthly budget. If you spend less than you planned, you can put that excess amount in your savings account. 3. Pay off the high-interest credit cards: Everyone will agree that credit card debts are the costliest debts a household can have. So, when prioritizing your debt repayment, it is always the best option to pay off the high interest credit cards before any other debts. Putting your extra money in paying off the credit card is a risk-free return because it reduces the outstanding balance on your credit cards and the resulting interest charges. 4. Contributions to a retirement plan: In order to avoid depending upon others during the golden years of your life, it is very important to have a retirement plan. You may first come to know of retirement savings through a workplace retirement plan such as a 401(k). Contributions to your retirement savings will help you lower your taxable income. If your employer offers a Roth 401(k), your contributions are made with after-tax dollars, but withdrawals in retirement will not be lowered by taxes. 5. Contribution to IRA: You will be able to contribute to an individual retirement account, or IRA, if you have earned income. You will be able to contribute a maximum of $5000 if you're younger than 50 years of age. Those 50 years or older in age can contribute up to $6,000. Your bank, credit union, brokerage firm, etc. will offer you the option of investing in an IRA. 6. Go for a rewards credit card: If you're a type of person who pays off his/her credit card balance in full, then you're the ideal person to go for a rewards credit card. In case of a rewards credit card, you are compensated in the form of cash back, airline miles or one of many other methods for the daily purchases which you make using that card. 7. Refinancing mortgage: As unemployment and reduction in wages is rampant these days, for many households, refinancing can be considered as a way out for household budget. As mortgage rates are at an all time low, the option of Home Affordable Refinancing Program with its expanded eligibility criteria, many deeply upside-down borrowers will now be eligible to refinance their mortgages at more attractive interest rates.